Earlier this morning, The Pokemon Company unveiled a new type of card for the Pokemon TCG called Tag Team Pokemon-GX. Tag Team Pokemon-GX is scheduled to arrive in early 2019. 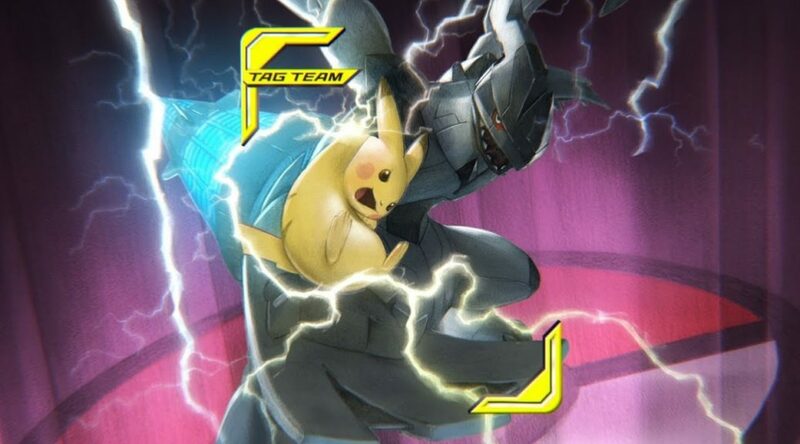 Taking the stage at the most prestigious Pokémon Trading Card Game event of the year, The Pokémon Company president Tsunekazu Ishihara introduced stunning new cards featuring TAG TEAM Pokémon-GX! Two Pokémon of the same type join forces and battle together on these powerful new cards, coming early next year. Look forward to battling with new TAG TEAM Pokémon-GX next year at the 2019 Pokémon World Championships!